Jude and Paul, Certified Acutonics® Practitioners, were among the first to train with the founders of the Acutonics® sound healing system. They completed training to become Certified Acutonics® Instructors in February of 2001. Since that time they have trained acupuncturists, body workers, musicians, animal healers and others in this powerful system. Their goal, in the Buddhist tradition, is to continue to grow spiritually in order to relieve the suffering of their fellow beings. Jude and Paul are Educational Program Consultants for Kairos Institute of Sound Healing. They are both certified Matrix Energetics practitioners. Paul maintained a private practice of acupuncture and herbal medicine starting in 1989 sharing a joint practice with his wife Jude. 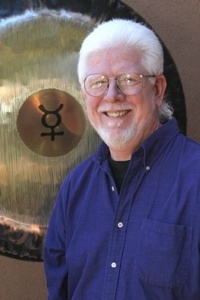 In 1998, after studying, and being profoundly affected by the power of the Acutonics® system of sound healing, with Donna Carey and Marjorie de Muynck, Paul has been incorporating specially calibrated tuning forks, Tibetan bowls, toning, symphonic gongs and other forms of sound healing into his practice. In March 2007 Paul and Jude moved to the Seattle, Washington area to continue practicing oriental medicine and to practice and teach the Acutonics® sound healing system. He is also a Matrix Energetics certified practitioner. Paul is a co-author of the advanced Acutonics® text Acutonics: From Galaxies to Cells Planetary Science, Harmony and Medicine. He is also co-author of the book, Acutonics for Dogs and Cats, Sound Healing For Animal Health. Jude is a certified practitioner and instructor of the Acutonics® healing system and Harmonic Medicine, a Doctor of Chiropractic, licensed acupuncturist and Certified Chinese Herbalist. She received her DC degree in 1981. She then continued to pursue extensive postgraduate training in Sacro Occipital Technic’, a gentle, energetically based biomechanical adjustive technique. Jude also trained in Craniosacral Therapy and has combined these to form the base of her chiropractic treatment approach. She opened her chiropractic practice in Mukilteo, Washington in 1983. Jude holds chiropractic licenses in Washington and Oregon. An interest in Oriental philosophy led Jude and her husband, Paul, to study Oriental Medicine at the Northwest Institute of Acupuncture and Oriental Medicine (NIAOM) in Seattle, Washington. Jude completed both the acupuncture and Chinese herbal studies programs, passed state and national board exams and she and Paul began practicing acupuncture and Chinese herbal medicine in conjunction with her established chiropractic practice. Jude also achieved national certification in Chinese herbal medicine and completed requirements for a Masters degree in Acupuncture from NIAOM. Jude was a clinical faculty instructor at NIAOM from 1989 to 2002. It was there that she met Donna Carey, Ph.D., LAc and Marjorie de Muynck, MA, LMP, the developers of the Acutonics® healing system and began to study with them. She then started to incorporate this most profoundly powerful system into her practice, including the use of specially calibrated tuning forks, Tibetan bowls, bells, mantra chanting, symphonic planetary gongs and other sound instruments. Jude and Paul also began to assist Donna and Marjorie as teaching assistants in Acutonics® classes and became faculty of Kairos Institute of Sound Healing. She is also a Matrix Energetics certified practitioner. 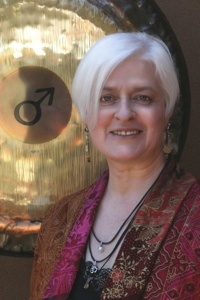 In March of 2007 Jude moved to the Seattle, Washington area where she and Paul use their practice to help people to achieve balance in their physical, emotional and spiritual existence. They also teach others to help facilitate this balance for those they work with. Jude is a co-author of the advanced Acutonics® text, Acutonics: From Galaxies to Cells Planetary Science, Harmony and Medicine. She is also co-author of the book, Acutonics for Dogs and Cats, Sound Healing For Animal Health.